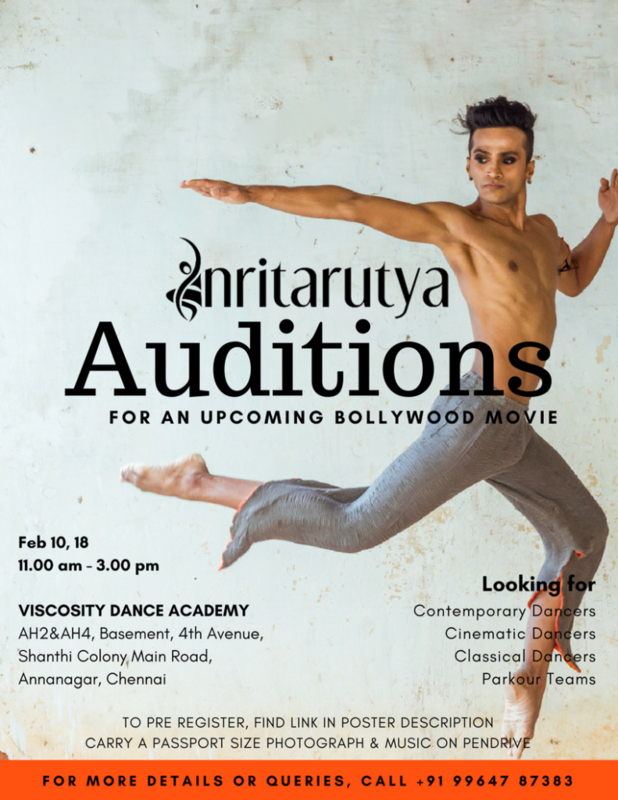 Formed in 2000 by Mayuri and Madhuri Upadhya, Nritarutya is one of India’s foremost dance companies creating innovative, visceral and ethereal experiences which widen the perceptions of dance. 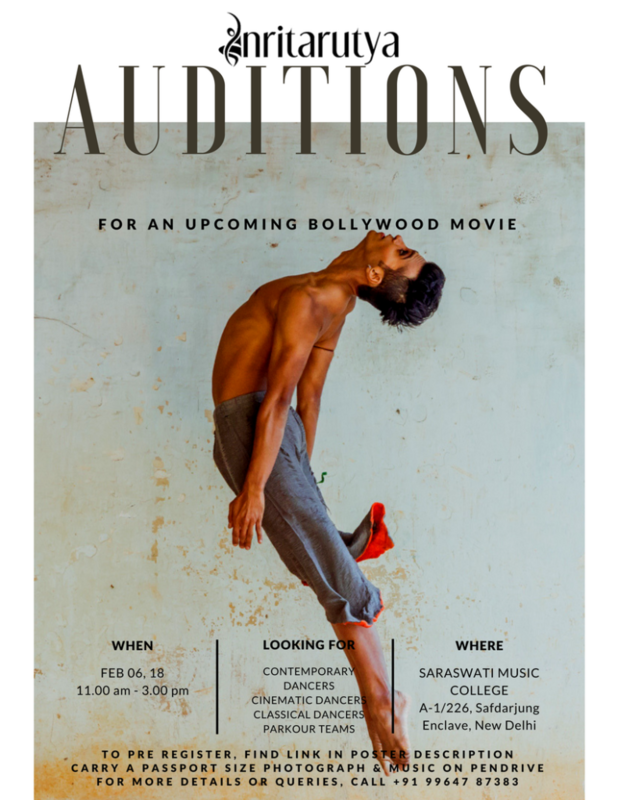 The company is auditioning for an upcoming Bollywood Movie. 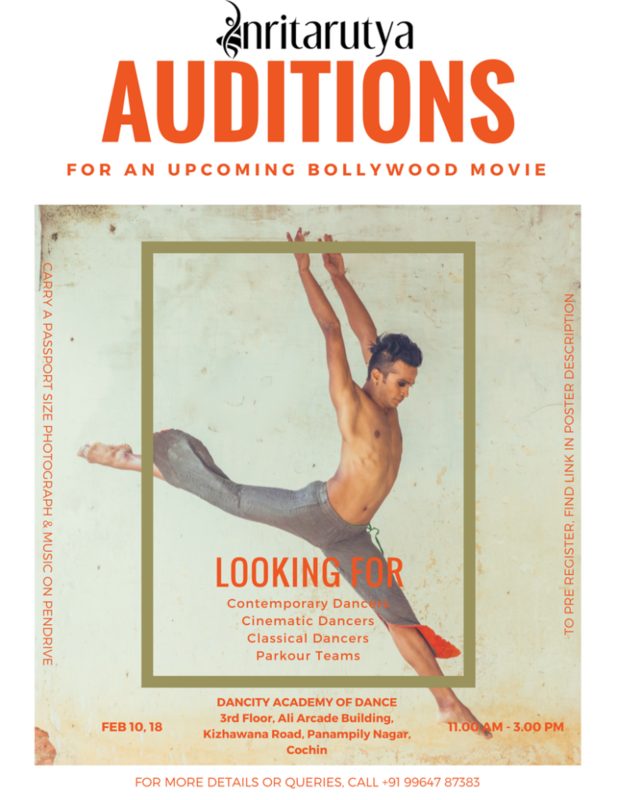 We are looking for Contemporary dancers, Classical dancers, Cinematic dancers and Parkour teams. 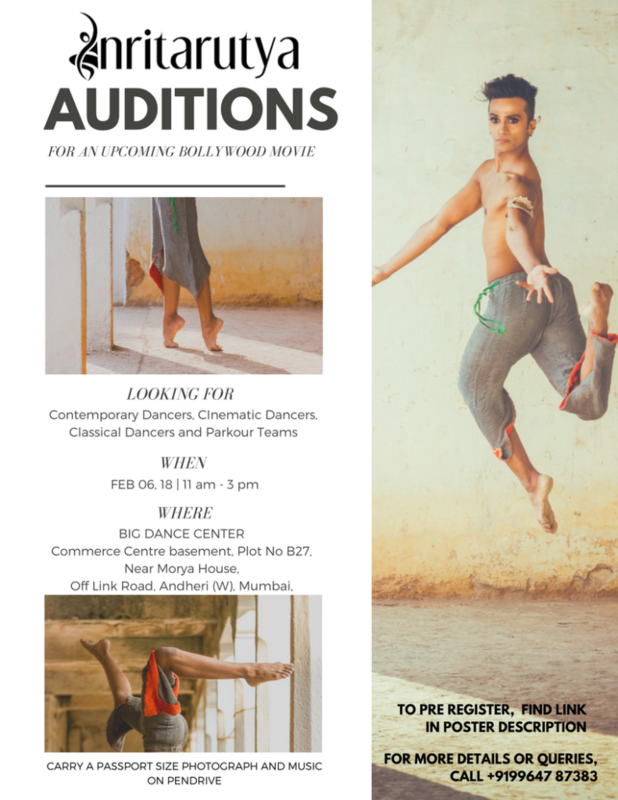 I am a classical dancer and would want to be a part of the Nritarutya. Could you please guide me through the ways to be a part of it. Would love to give audition and showcase the little that I know.